Meet the Authors for the 2018 Author Roulette! Our Author’s Luncheon & Fundraiser on October 19th is quickly approaching, as are the chances to win awesome prizes at the event! One of the most popular activities we host is our Author Roulette, which allows guests who have donated over a certain amount to spin a wheel for the chance to win an author appearance at your book club. This is an amazing opportunity to not only support our work in the community, but also for the chance to have an intimate one-on-one book club event featuring the author of the book you’ve just read! How many times do you wish you could directly ask an author questions about their book? Now you have that chance! All of the proceeds from this event go directly towards our programs, allowing us to bring trained volunteers into local classrooms to instill literacy skills and a love of reading upon students, as well as helping to build home libraries for families. Elizabeth Cobbs is a four-time literary award-winning author. Her most recent book, The Hamilton Affair, tells the true story of Alexander Hamilton and Elizabeth Schuyler and has been named the "Hamilton novel that immediately leaps to the top of the list" by author Joseph J. Ellis. Her first movie, American Umpire, takes a critical look at the role the United States plays in global geopolitics as a sort of 'world police.' She also serves on multiple historical committees, including for the U.S. State Department. To learn more, see Cobbs' website here. Eric Peterson is a California native whose debut book, Life as a Sandwich, was a finalist in the San Diego Book Awards. His most recent book, The Dining Car, won the 2017 Benjamin Franklin Gold Award for Popular Fiction as well as the 2017 San Diego Book Award for Best Published Contemporary Fiction. The story follows a former college football star's journey as he bartends on a private train car for a popular writer and social critic. You can find more about Peterson’s books here. Karna Bodman is the author of five novels, the most recent being a political thriller Trust But Verify. The book follows a member of the White House staff and an FBI agent who race to get ahead of a plot that threatens international leaders and stock markets worldwide. Bodman pulls inspiration for her political thrillers from her time serving in the White House, where she was the highest-ranking woman on the White House staff. See more on Bodman’s website here. Kathy Cooperman performed improv comedy for four years before she attended Yale Law School. After graduating and spending years defending white collar crime, she published her first book Crimes Against a Book Club in 2017. The novel follows two best friends who are strapped for cash and decide to sell face cream to wealthy participants in their local book club -- with the addition of an illegal ingredient that can put their entire business into danger. You can learn more about her books on Goodreads. Marivi Soliven is a creative writing teacher and the author of 17 books. Her most recent novel, the Mango Bride, tells the story of two Filipino women who immigrated to America, and how their very different lives intertwine, changing them forever. The book won the Grand Prize at the 2011 Carlos Palanca Awards for Literature, widely seen as the Pulitzer Prize equivalent of the Philippines. The response to this novel has inspired her to bring more awareness and advocacy towards immigrant survivors of domestic violence. For more info, see Soliven's website here. Mike Sager is an award-winning reporter and author of ten books. The second edition of his book, Revenge of the Donut Boys, is a collection of seventeen true stories that touch on the varying aspects of American life, focusing on the values, virtues, obsessions, and hypocrisies of society. Sager has served as a staff writer on the Washington Post, a contributing editor to the Rolling Stone, and a writer at large for Esquire. Currently, he is the editor and publisher of The Sager Group LLC. See Sager's website here. Tammy Greenwood’s novels have sold over 250,000 copies. Her most recent 2018 novel, Rust and Stardust, follows the story of an 11 year-old girl and her captor as they travel from New Jersey to California. The novel is based on the experiences of a real-life kidnapping victim from the 1940’s. Greenwood has won three San Diego Book Awards and is a creative writing teacher. If you’d like to learn more about her novels, you can visit her website here. 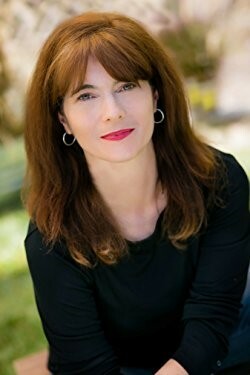 Jennifer Coburn is a USA Today bestselling author of six novels and contributor to five literary anthologies. Over the past two decades, Coburn has received numerous awards from the Press Club and Society for Professional Journalists for articles that appeared in the Washington Post, Mothering, Big Apple Baby, The Miami Herald, The San Diego Union-Tribune and dozens of national and regional publications. She has also written for Salon.com, Creators News Syndicate and The Huffington Post. 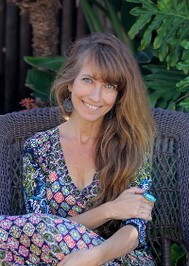 Lannette Cornell Bloom is a registered nurse, healer, and author. She is passionate about bringing simple joys to others. As an RN and health practitioner of more than thirty years, she has seen firsthand the need to care for others both emotionally and physically. She brings into focus the fragility of life and the importance of enjoying the simple joys that slip through our fingers if we’re not paying attention—because life may be hard, but joy is simple. Michelle Gable, in her New York Times bestselling debut, A Paris Apartment, fictionalized the true story of a French courtesan and the discovery of her sealed-for-seventy-years Parisian apartment sparking wonder in readers the world over. Gable’s second novel, I’LL SEE YOU IN PARIS, which she wrote by hand in between her daughters’ softball games and a day job as VP of Investor Relations for Ellie Mae, finds her in the City of Light yet again. Michelle graduated from The College of William & Mary. After a twenty-year career in finance, she now writes full time. Michelle lives in Cardiff-by-the-Sea, California, with her husband, two daughters, and one lazy cat. Susan Carol McCarthy is the award-winning author of three novels inspired by true events in Florida history -- LAY THAT TRUMPET IN OUR HANDS, TRUE FIRES, and A PLACE WE KNEW WELL -- as well as the non-fiction BOOMERS 101: THE DEFINITIVE COLLECTION. Her work has been widely selected by libraries and universities for their One Book, One Community and Freshman Year Read programs, and adopted by schools in 29 states and 6 countries. “McCarthy blends fact, memory, imagination, and truth with admirable grace.” ~ The Washington Post. A native Floridian, she lives and writes in Carlsbad, California. If you’re interested in learning more about our Author’s Luncheon & Fundraiser and getting the chance to participate in the Author Roulette game in addition to other activities, visit our site here. Moss Adams is one of the largest public accounting firms in the U.S., a spot they have earned through 105 years of offering accounting, consulting, and wealth management services. The company has earned several firmwide awards including three for being an exceptional workplace for women. Forbes also named them as one of the best midsize employers in 2017, as a company that makes their employees feel happy, inspired and well-compensated. Lastly, they have won six diversity awards in the last seven years. Moss Adams also ensures they are making a difference in the world today. They do this by having commitment to their people, investing in their communities, and minimizing their environmental impact. The company and its employees volunteer in the community, serve on boards and make charitable donations to help build up the communities around them. Moss Adams has an extensive understanding of the issues foundations, their donors, and their for-profit entities often grapple with as well as the opportunities available to solve those issues. San Diego is just one of the several communities they have supported. Moss Adams will receive recognition on all wine bottles and champagne available in the Marketplace at the Author’s Luncheon & Fundraiser. As the Beverage Sponsor, Moss Adams is helping Words Alive provide high-quality literacy programs to thousands of students and families in San Diego during the next school year. Meet Our Author's Luncheon Moderator: Dr. Seth Lerer! Our 15th Annual Author’s Luncheon & Fundraiser is being held on October 19th and will feature best-selling author Mary Kubica. Once again, Dr. Seth Lerer will be joining to moderate the conversation with our featured author, and this year marks his fourth time joining us at our signature fundraising event! Since 2014, Dr. Lerer has moderated conversations with Anna Quindlen, Isabel Allende, and Salman Rushdie for the Author's Luncheon & Fundraiser. Seth Lerer is a distinguished professor at UC San Diego, where he served as the Dean of Arts and Humanities. His studies and teachings focus on Medieval and Renaissance Literature, History of the English Language, Children’s Literature, as well as Shakespeare. He has several published works that focus on these areas, as well as multiple literature and teaching awards. He is a Guggenheim fellow, a prestigious award for those who have demonstrated exceptional capacity for productive scholarship and ability in the arts. One of Dr. Lerer’s many pronounced works is titled Children's Literature: A Reader's History from Aesop to Harry Potter. His book outlines the history of Western Children’s Literature, looking at stories from Mother Goose fables to J.R.R. Tolkien. As a professor who has extensively studied, published, and edited literature-based works, we are excited to welcome him back to our Author’s Luncheon & Fundraiser! What first compelled you to work with Words Alive? Why do you continue to work with Words Alive on the Author’s Luncheon? Words Alive shares many of my own professional and community goals: a commitment to developing literacy and a love for reading; a recognition that the human imagination matters; and a philanthropic mission to bring the magic of books to young people who may not have those books. Words Alive is one of those organizations that, I believe, is preparing young people to become my future college students. The Author’s Luncheon provides a wonderful opportunity for me, personally, to meet and talk with leading writers and to find ways of getting them to share their craft and their own devotion to the written word. The audience for the Luncheon is always receptive, and I hope that when the authors leave, they can recognize what a great reading community we have in San Diego and, thus, spread the word. What is your favorite Author’s Luncheon memory? There are so many: joking with Salman Rushdie about the satiric quality of our current lives; sharing the sensitivity of Anna Quindlen on life choices; and flirting with Isabelle Allende while discussing her stories of love and friendship. What do you most look forward to at the Author’s Luncheon? I most look forward to finding a point of contact with an author: finding out not simply what we have in common, but how a creative writer and a scholarly writer (me) can learn from each other about the meaning of books and the imagination. And, of course, doing all of this with some five hundred of San Diego’s most committed readers makes it fun. What are you most excited to talk to Mary Kubica about after reading her latest book, When the Lights Go Out? I have just started the book. But clearly, it is a work of suspense and narrative propulsion. I think it will live up to its arresting opening. I’ll look forward to talking with Mary Kubica about holding an audience, building reader interest, and shaping plot. Why is reading and literacy important to you? Through reading, I discovered myself. We all read not only books but the world: experience is made up of signs and symbols, stories and tales. We can aspire to be the heroes of our own novels. When I teach literature, I try to show how fiction is not a lie: it is the artful re-imagination of experience. It is a lesson in living and a goad to our creative understanding of the world. Introducing Mary Kubica: Featured Author of our 15th Annual Author's Luncheon & Fundraiser! An image of Mary Kubica, the featured author for our 15th Annual Author's Luncheon & Fundraiser! We recently announced that our 15th Annual Author’s Luncheon & Fundraiser will feature New York Times and USA Today Best-Selling Author Mary Kubica! The event will be held on Friday, October 19th at the Marriott Marquis San Diego Marina. Mary Kubica is most widely known for her thriller/mystery debut novel The Good Girl. She also has written three other fiction novels: Pretty Baby, Don’t You Cry, and Every Last Lie. Her books have been translated into over twenty languages and she is currently working on a fifth novel that is due to be released September 4, 2018. Each Author’s Luncheon attendee will receive a copy of her new book, When the Lights Go Out, just weeks after it is released! Image of the book cover for When the Lights Go Out. The tagline for the book is: Insomnia has taken her sleep, now it's taking her mind. A mother of two, Mary Kubica is a former high school teacher with a Bachelor of Arts degree from Miami University in Oxford, Ohio. She currently resides outside of Chicago, Illinois. What is the Author’s Luncheon & Fundraiser? The Author’s Luncheon & Fundraiser is our signature fundraising event, which was attended by over 500 participants in 2017. Celebrating its 15th year, the event has featured renowned authors, including Salman Rushdie, Jodi Picoult, and Isabelle Allende, and gives attendees the opportunity to learn more about their life outside of writing and their novels, while supporting literacy education for children and families across Southern California. Each year, we raise over $200,000 that directly supports our mission to open opportunities for life success by inspiring a commitment to reading. Integrating both style and intellect, the Author’s Luncheon & Fundraiser offers something for everyone with our marketplace, silent auction, and raffle where patrons have the opportunity to win spectacular prizes while also directly supporting the three primary programs of Words Alive: Read Aloud Program, Teen Services Program, and our Family Literacy Program. The funds generated at the Author’s Luncheon & Fundraiser make up a considerable portion of what Words Alive needs to continue serving over 5,000 children and families each year. How Can I Participate in this Event? There are multiple ways to participate in the event! Options include sponsoring the event, sponsoring a table, or donating to our silent auction. Become a table sponsor and enjoy premier seating at the event for 10 or 12 guests and admission to an exclusive post-event reception with Mary Kubica! Act now - this event is expected to sell out! We also have assorted options of event sponsorship available that can vary from the singular Presenting Sponsor to a Community Supporter. Every sponsor gets recognition and listed in the event program, with additional opportunities available. For more package details and contact information, visit our Author’s Luncheon page on our website here. Please join us in congratulating Sydney MacDonald– Words Alive Volunteer of the Month for August 2016! Sydney, like so many Words Alive volunteers, joined our family through her own friends and family. Her mother, Andrea MacDonald, is current Words Alive board vice chair and has chaired the annual fundraising event, the Author’s Luncheon for two years. Sydney was looking for a fun summer experience, and our office was looking for an intern – the timing was perfect! Sydney has exuded an incredible professionalism in all of her projects. She has assisted our staff with website maintenance and review, with donor communication around the upcoming Luncheon, with data clean-up and programmatic projects. No matter whether the task has been entertaining or monotonous, Sydney handles everything with the utmost detail and quiet focus. Sydney has been able to help us get organized and update our Donor Management system so that we can pull reports more efficiently. She has also helped us reach out to Raffle and Silent Auction Donors for our upcoming event. Her organization skills have helped keep the development and communications office moving this summer. Thank you, Sydney, for giving us your time this summer and for your hard work! We are lucky that you have shared your talents with us, among many other summer activities like teaching dance class! We are very proud of you. Thank you. Check Out the Volunteer of the Month Interview with Sydney Below! Sydney, tell us a little about yourself! I am 16 years old, going into my junior year of high school. I have a passion for dancing and spend most of my time either at my dance studio or at my school's dance room. When I'm not dancing or working at Words Alive, I am at the beach with my friends or reading. How long have you been volunteering with Words Alive, and how did you get involved? How did you first get involved with Words Alive? I have been volunteering at Words Alive since June. My mother has been volunteering at Words Alive for a couple of years and I have always really respected what they do. Reading has always been a big part of my life and I love the idea of bringing it into other people's life. Since I knew I was going to have free time this summer, I thought helping out at words alive would be the perfect solution. My favorite part of working at Words Alive is sending out donation requests and information sheets about the upcoming event, the annual luncheon. It is very exciting to know that I am informing new people about Words Alive and that they can see the magic of this nonprofit that I see. The most rewarding part is when people respond to these requests. And, by the way, what are you reading lately? I am currently reading Mind Prey by John Sandford.